The Bungonia National Park red track buskwalk is nothing short of sensational. Walking through the slot canyon is an absolutley amazing experience. But be warned, this hike will take it out of you. Don’t be fooled by the short distance. The trek has a decline of approximately 400m to get into slot canyon. And when you go down you must come up. And that’s probably not the hardest bit. There’s a section where you need to negoitate your way through mega boulders. It’s like one big boulder maze. Hard work but a massive amount of fun. 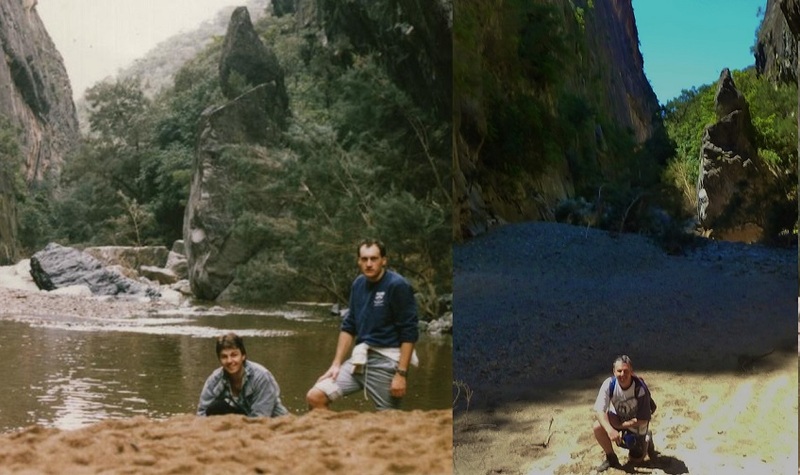 There are warnings not to do this bushwalk after big storms due to flash flooding. You could see evidence all over the place of this with the way the trees grow. They have all been pushed over by rushing water and are nearly growing parallel to the ground. Reviews I read said that the hike takes about 5 hours. I thought to myself you have to be kidding, 5 hours to do 6.5 km. Do you have a broken leg or are you 80 years old. But that time is amount right. We took just under 5 hours. A few stops were taking along the way to soak in the amazing scenery. But it does take a while to complete. I’m surprised how few people know about this place as it’s without doubt one of my top 5 bushwalks. But I was one of them even though I’d done the hike around 30 years ago. I remembered this sensational hike just couldn’t recall where it was. I was lucky enough to find it a month ago. If you have a bit of fitness about you I highly recommend tackling this buskwalk. You wont be disapppointed. Directions to Bungonia Slot Gorge. Google Map Link. In google maps just type in “Bungonia National Park, The Lookdown Road”. Google maps will give you directions to Bungonia National Park. Then just follow that road to the lookdown lookout car park. There are plenty of signs so you should be able to find it. There are signs near the car park for the red track. Bungonia Red Track Trail Map. 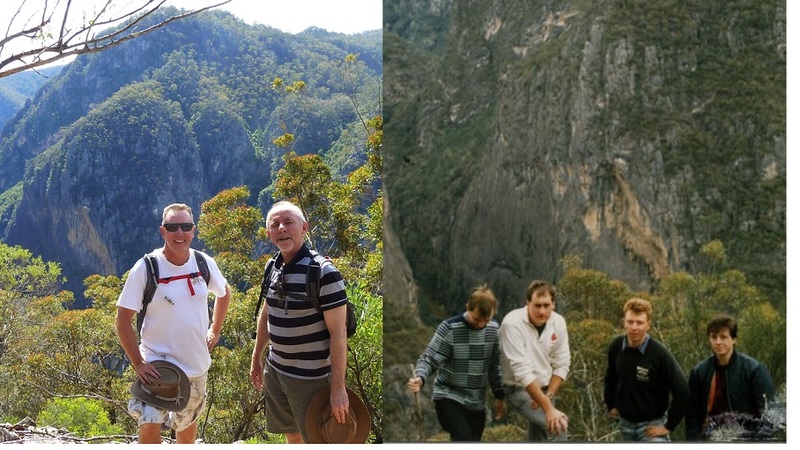 Thanks for pointing out the Bungonia gorge hike. I agree with your comments about this being one hard bushwalk. But enjoyed it. The youtube clip below is of the Bungonia national park lookouts. 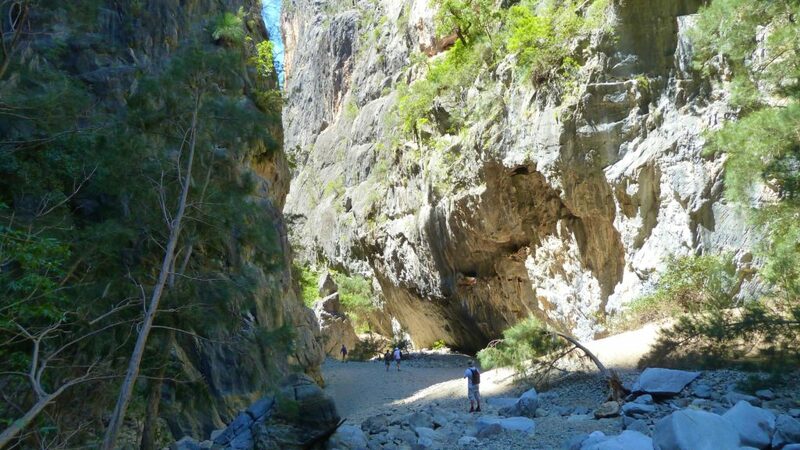 Bugonia National Park, bushwalks, bush walk, hike, trek, trails, track, lookout, waterfall, canyon, Bungonia Gorge, Southern Highlands bushwalk, Bungonia Red Track, Bungonia slot gorge.